Welcome To Kelly Greens Golf & Country Club. A Premier Private Gated Golfing Community. Great Opportunity. Second Floor Manor Condo. 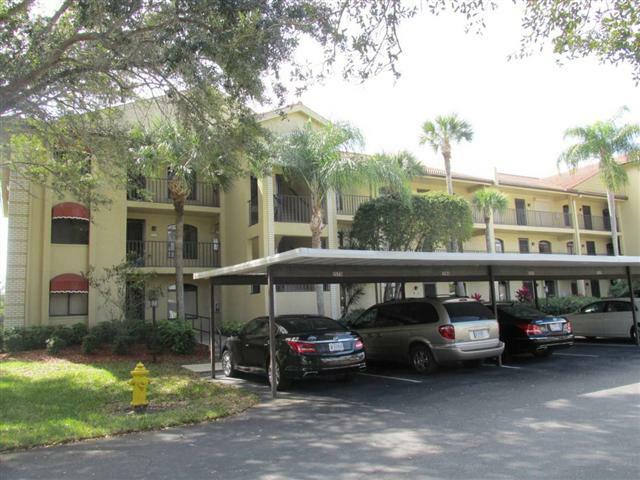 2 Bedroom - 2 Bath Plus Covered Parking And Storage for Bikes & Golf Bags! New Flooring, Tile Thru - Out. New Carpeting In The Bedrooms. Updated Kitchen With All New Appliances., Counter Tops, And Tray Ceiling. Newer Washer & Dryer. Beautiful Plantation Window Treatments In Kitchen, Master & Guest Bedroom. All New Design In Master Bath And Guest Bath Features New Seamless Shower Door. With Acceptable Offer... This Beautiful Home Can Be Purchased Furnished ( Not Turnkey ) With Exclusions. This Unit Enjoys A Beautiful South West Exposure With Course And Lake Views From The Back . Great Pool View From The Front. Great South Fort Myers Location. Close To Shopping. Dining. The Beaches & Sanibel Island. Master Fee: $ 4,546 Per Year. Maintenance Fee: $ 895.00 Quarterly. 2014 Taxes: $ 1,161. One Time $5,000. Joing Fee At Closing.